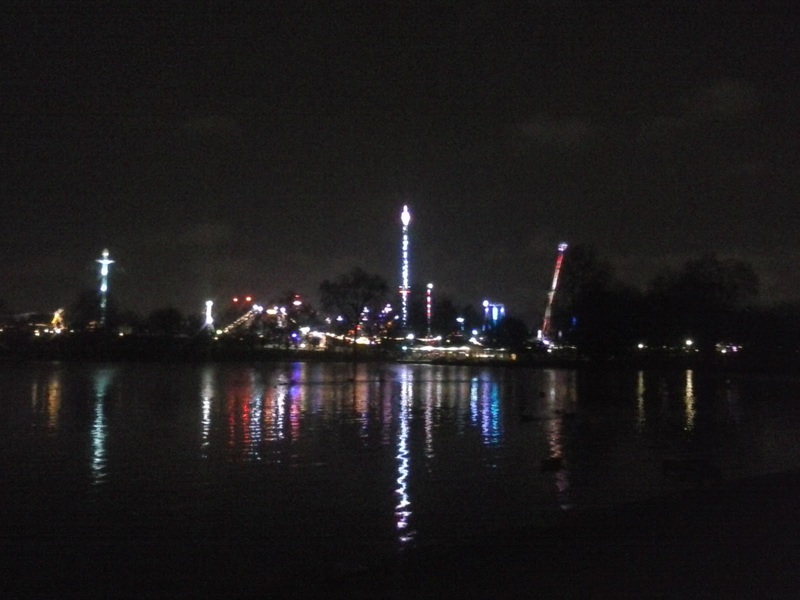 A beautiful evening - it's very mild for December - and a darkish walk through Kensington Gardens and along the Serpentine (it's never truly dark in London). 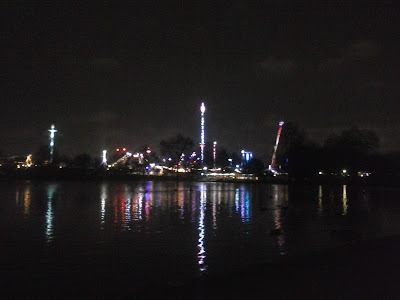 Hyde Park's Winter Wonderland looks even more spectacular than this in real life and looking right I could also see the Shard and the London Eye - the top of the Shard like a Christmas tree in red and green and white and the Eye slowly changing colour. Absolutely magical.